This is a pack of two Trinity Heavy Tension Overhead Brush Springs. 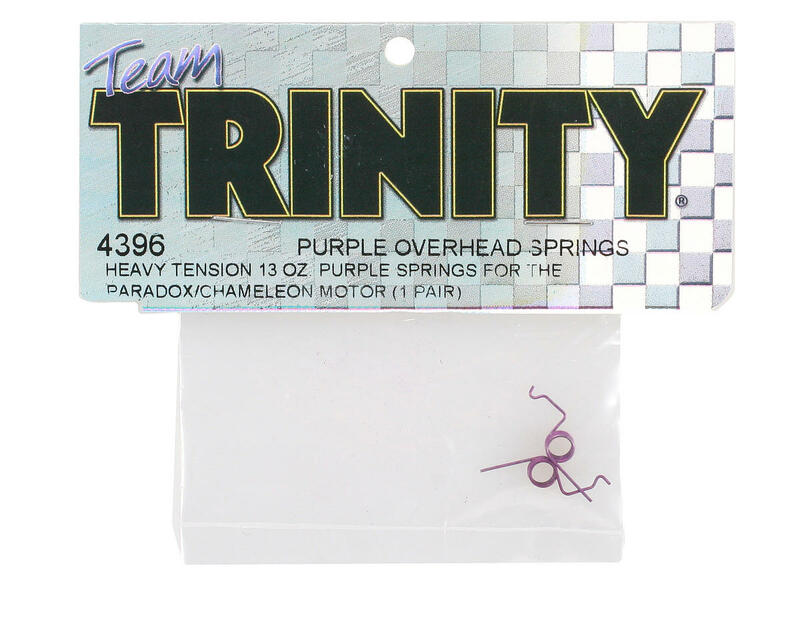 These springs are compatible with the Trinity Paradox and Chameleon motors. 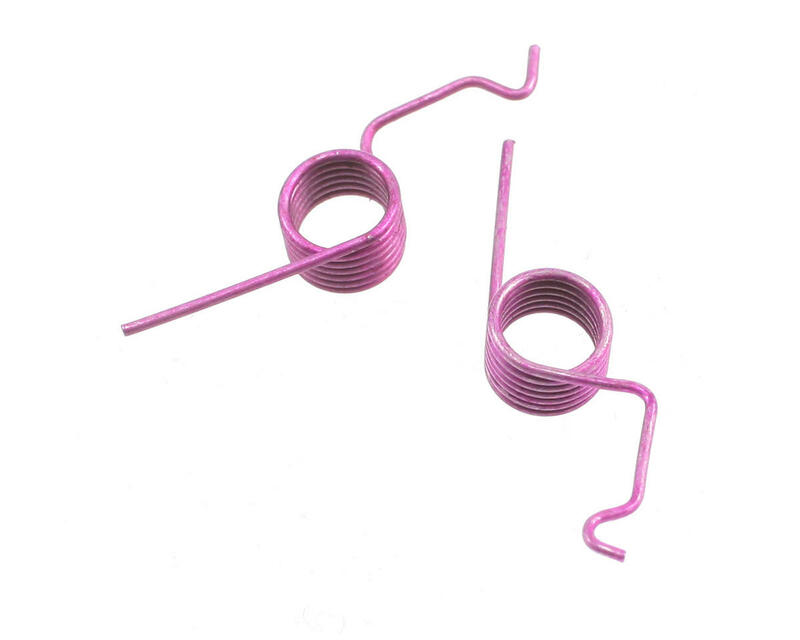 Package includes two Purple 13oz springs.